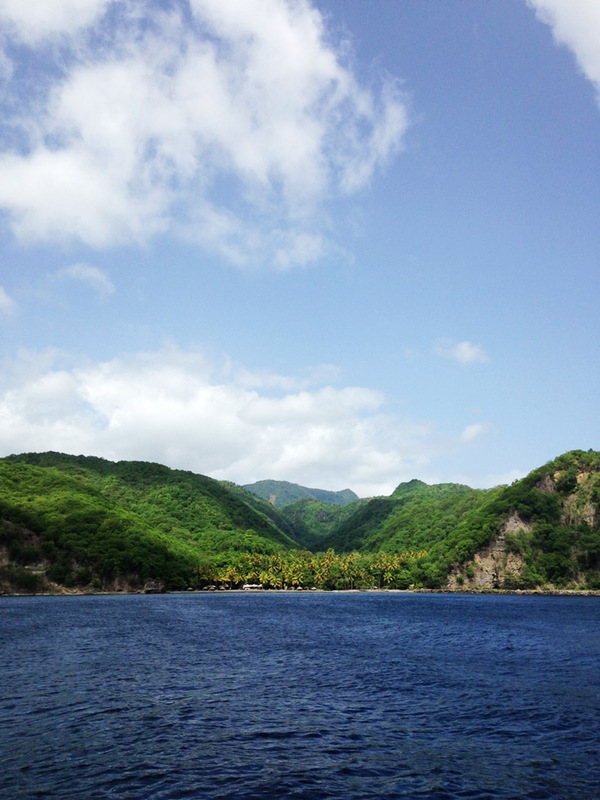 Well it was a good thing that we got a nice sleep in Martinique because our sail from there to Rodney Bay, St. Lucia was terrible. It was our roughest yet and very wet! 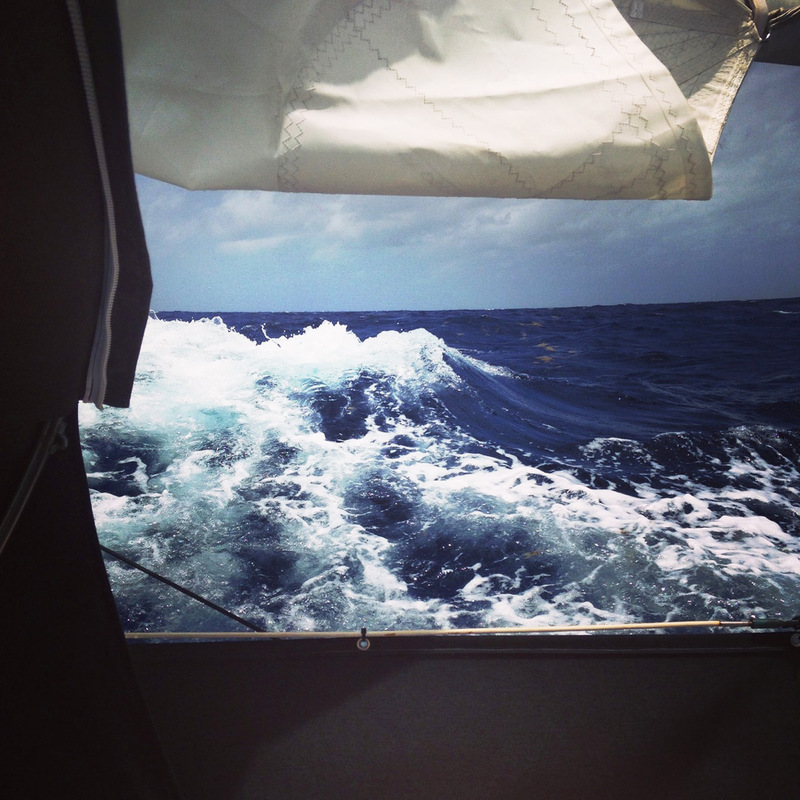 We had 30 knot winds and 8-10 foot seas (of course double what the forecast said). Ughhh. Not fun. 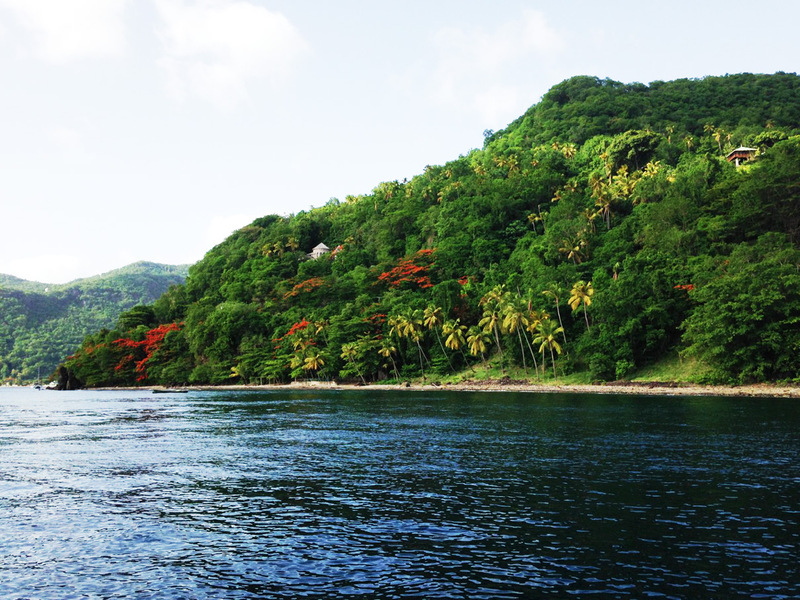 We were fighting the tiller hard the whole way as well so when we finally arrived in Rodney Bay we were exhausted, soaking wet, and in need some time on land. 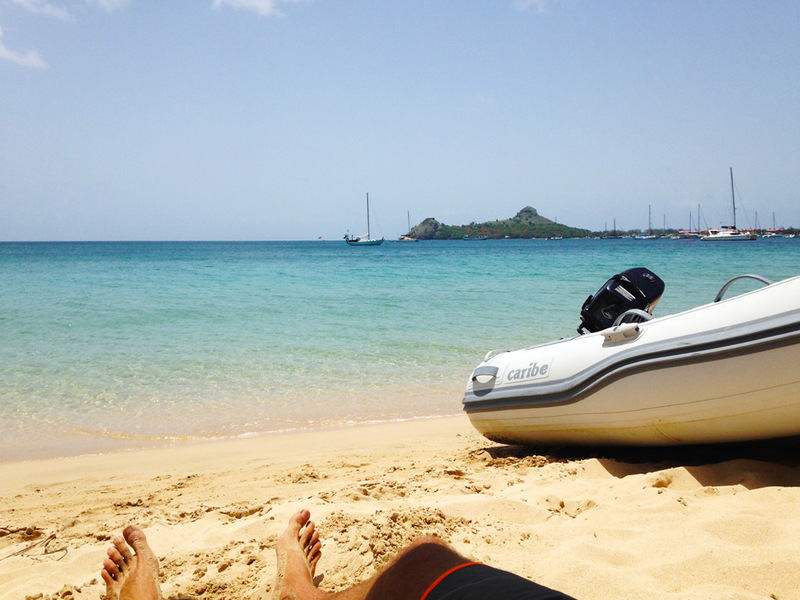 We got anchored and then dinghied over to the beach to kiss the land and unwind. Of course this picture doesn't do it justice and is only from the beginning when it wasn't too bad! It's difficult to capture the roughness in a photograph. For 1, every time you snap a shot it's always seems to be right after or right before huge, crazy waves. And 2, you are holding on for dear life and don't really feel like "snapping a quick pic" as much as "puking your guts out". Ok I didn't actually puke my guts out, but I certainly felt like it and the two of us were in unpleasant moods to say the least. Rodney Bay was very pretty (after a crazy sail I think any view of land is "pretty") and we had a really nice beach day there. We laid on the beach with our beach umbrella overhead and a cooler of drinks and snacks nearby. It was great to chill in the shade and read our books! Remember all that reading I thought I'd get done while we were underway? Nope. The fruit guy, or the "Whole Foods guy" as we've heard him called, came around and we bought the most beautiful assortment of fruit. 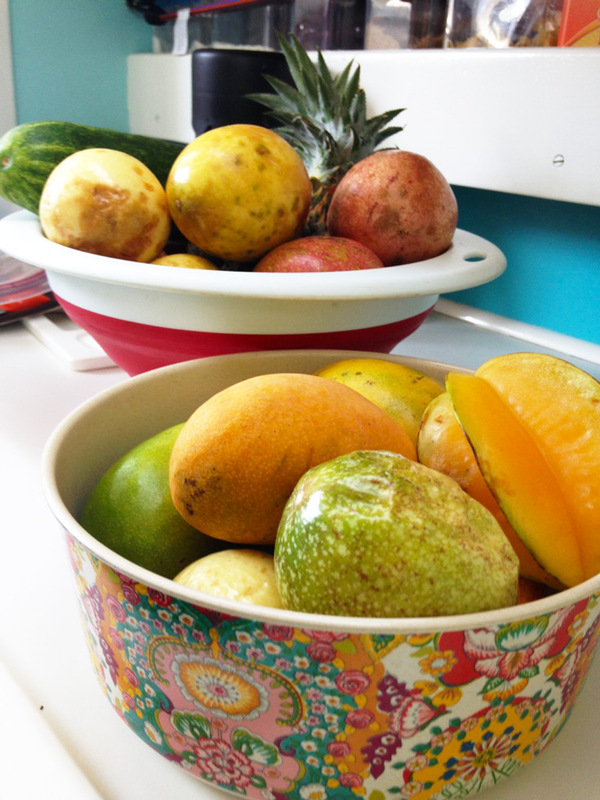 Lovely passion fruit, mango, avocado, papaya, pineapple, starfruit, and cucumbers! We were still pretty loaded up with fruit from Dominica too so at this point we had a lot of fruit salads planned for our future. 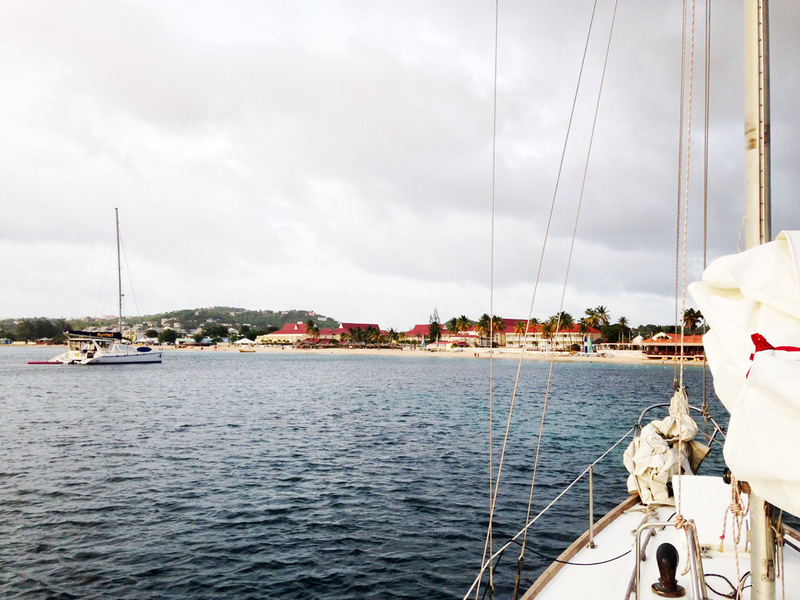 We spent one night in the Rodney Bay and slept alright, but decided to go into Rodney Bay Lagoon and spend a few nights on a mooring. 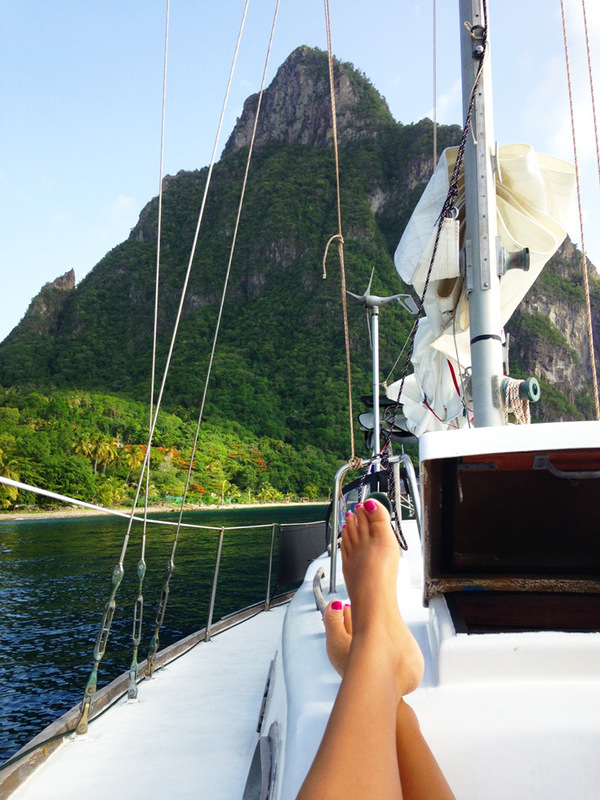 We were still so tired after the rough sail and weeks of little sleep so a calm night on a mooring sounded glorious. It was just what we were looking for. 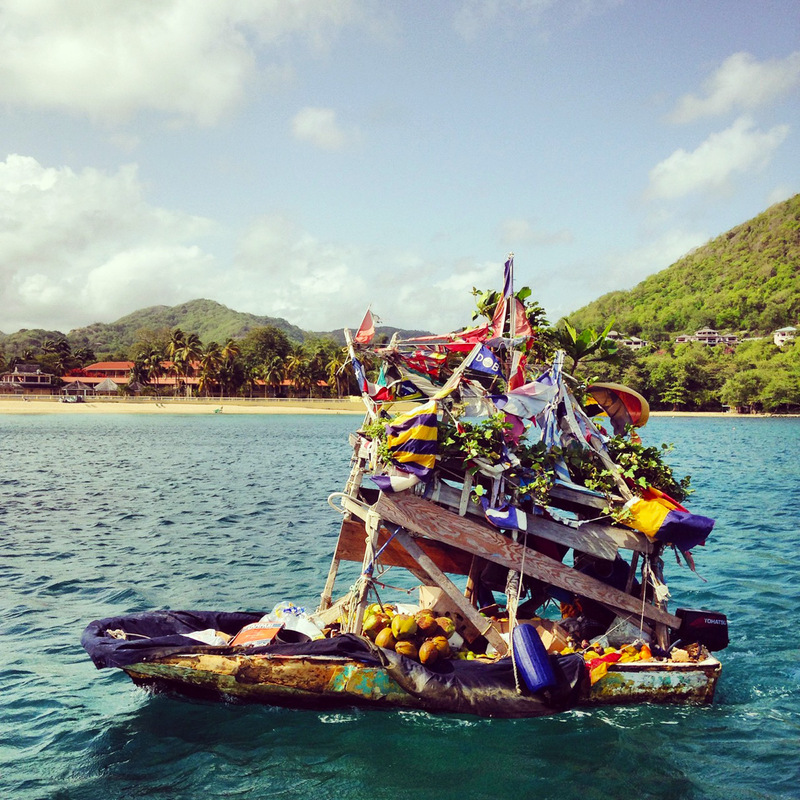 We caught up on rest and a few boat projects. 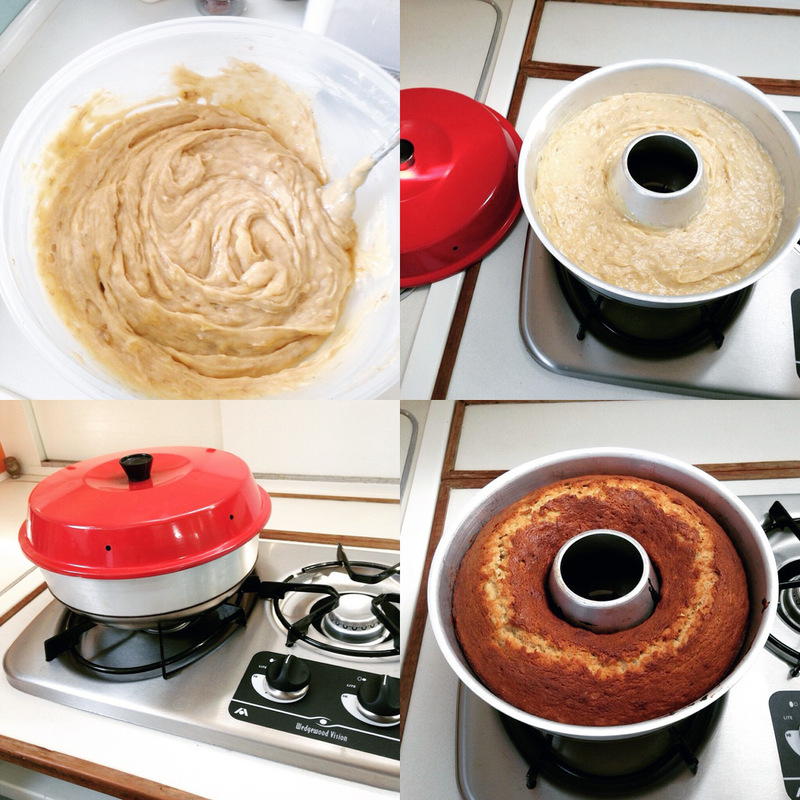 Oh and made a delicious banana bread in our Omnia Oven and ate the whole lot of it of while watching episodes of The Wire on the couch. We didn't even feel guilty about holing up inside the boat since we had been getting PLENTY of outside time. 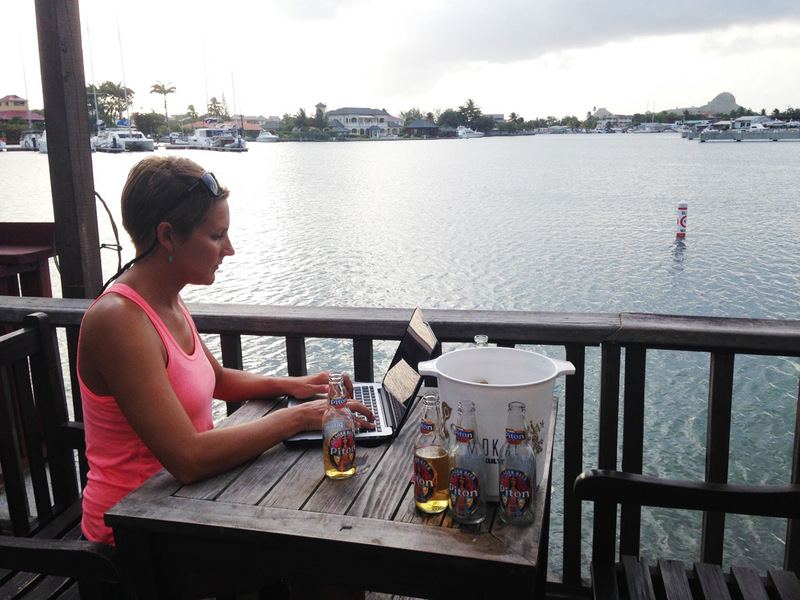 We headed over to the Boardwalk Bar for happy hour and I used the internet to catch up on a few blog posts. They sold buckets of Piton: 5 for $10. Bargain! Mmm it's good too (and no I didn't drink all those beers myself...). 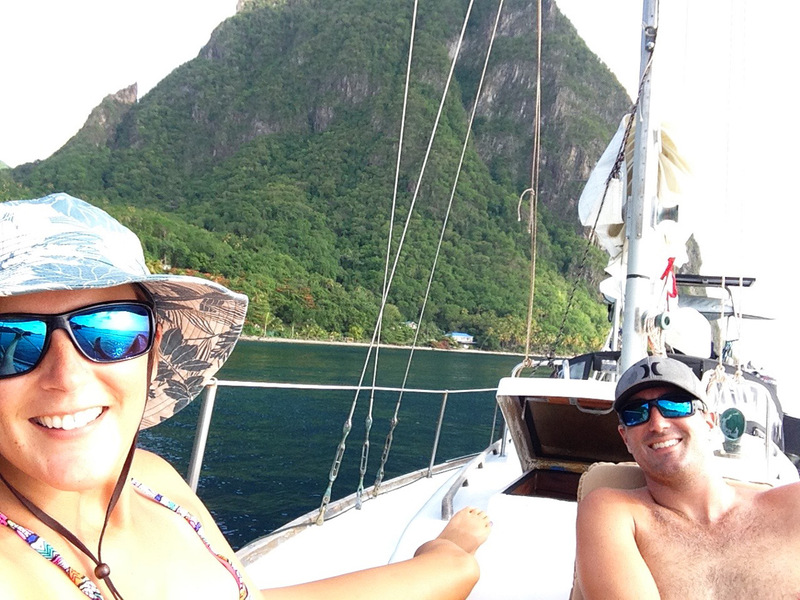 After a few nights, we dropped the mooring lines, fueled up at the dock there and headed for The Pitons. 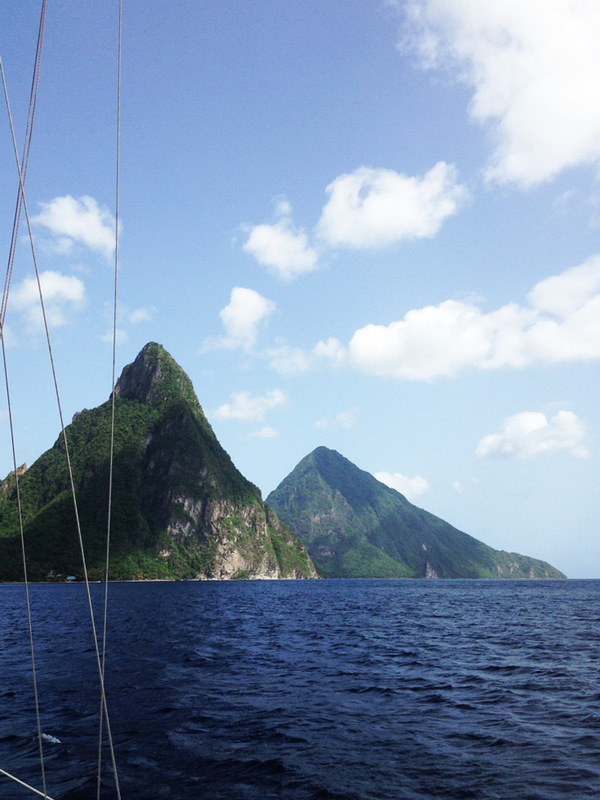 It was a nice sail down and the sight of The Pitons growing in the distance as we neared was awesome. How striking! 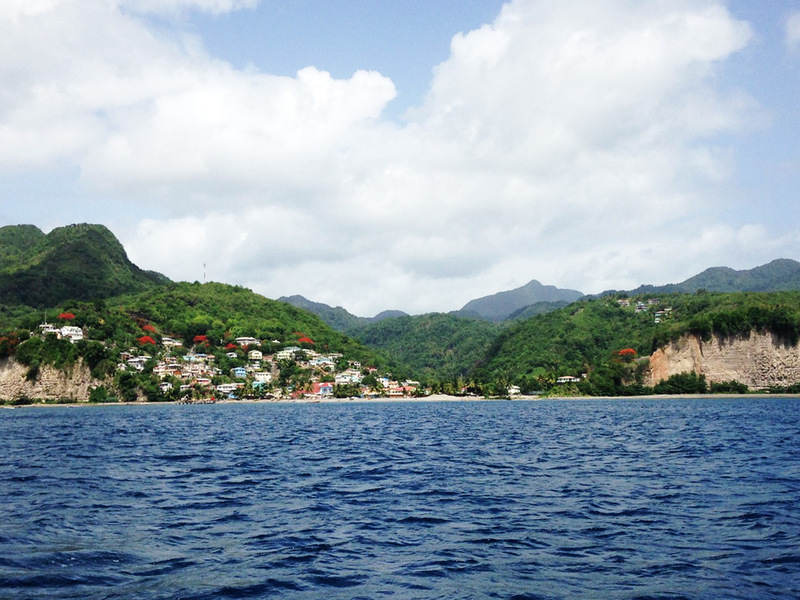 Soufriere in the background there. 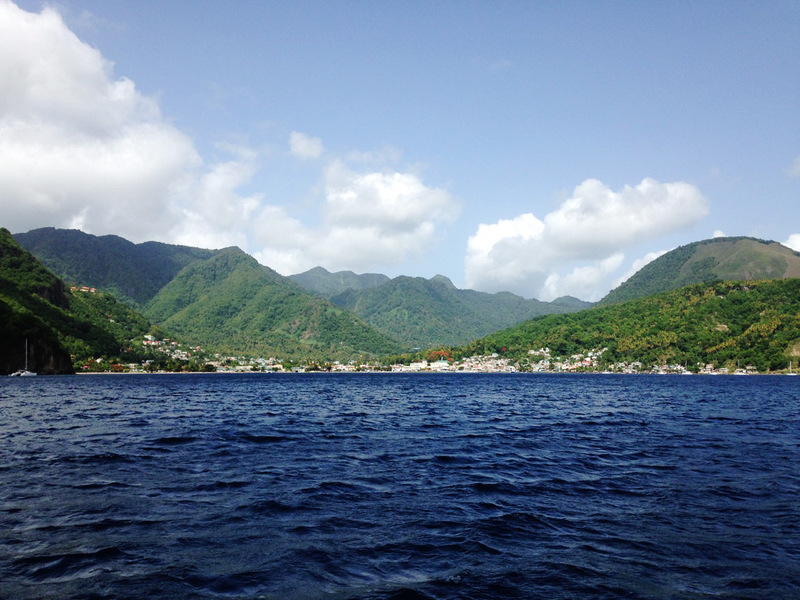 With the assistance of a boat boy (not much of a choice here as they meet you a mile out and insist they help you with the mooring), we grabbed a National Park mooring in the Southern part of the bay. 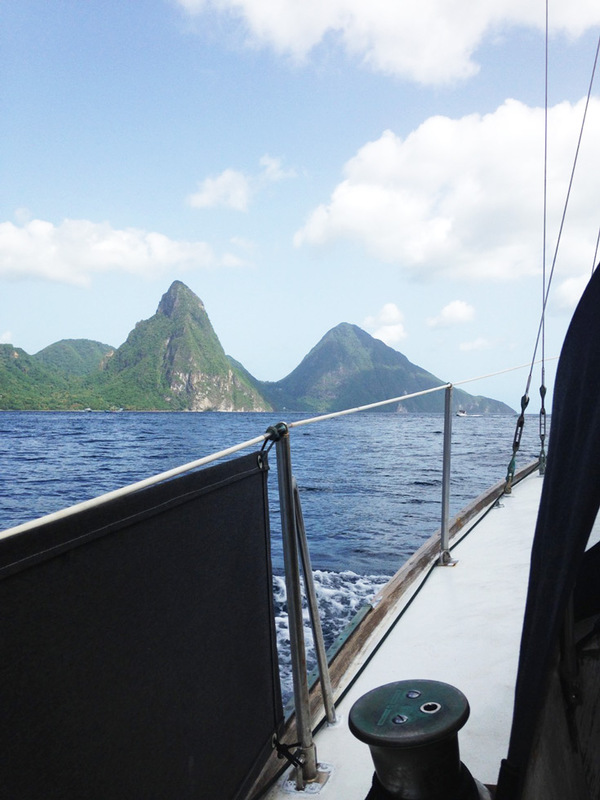 All the boats were rolling around and the swell was increasing so we knew we were in for another bumpy night, but we just couldn't drive past The Pitons and not stop. 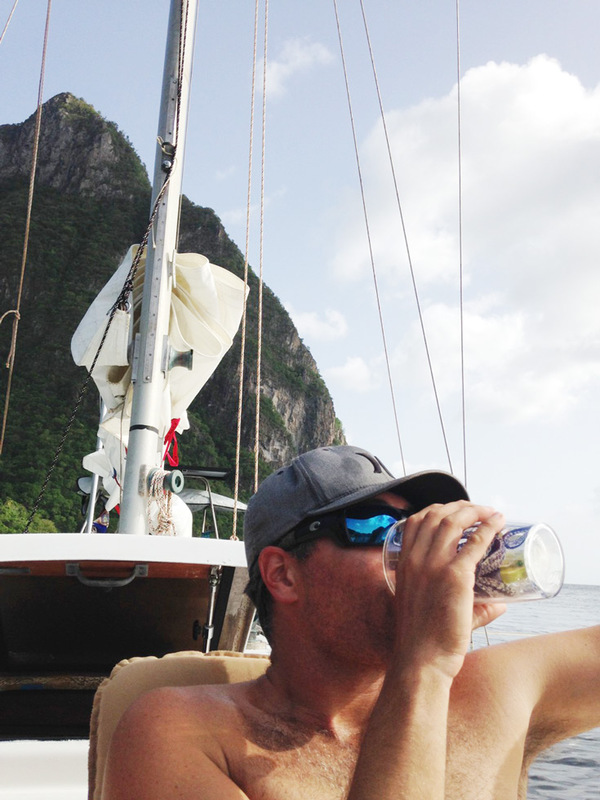 We thought the best remedy was to enjoy some rum and cokes on deck and take in the view. The views in every direction were so beautiful. The most flamboyant Flamboyant Trees we've ever seen! The boat kept changing directions so one of us seemed to always be facing the wrong direction haha! 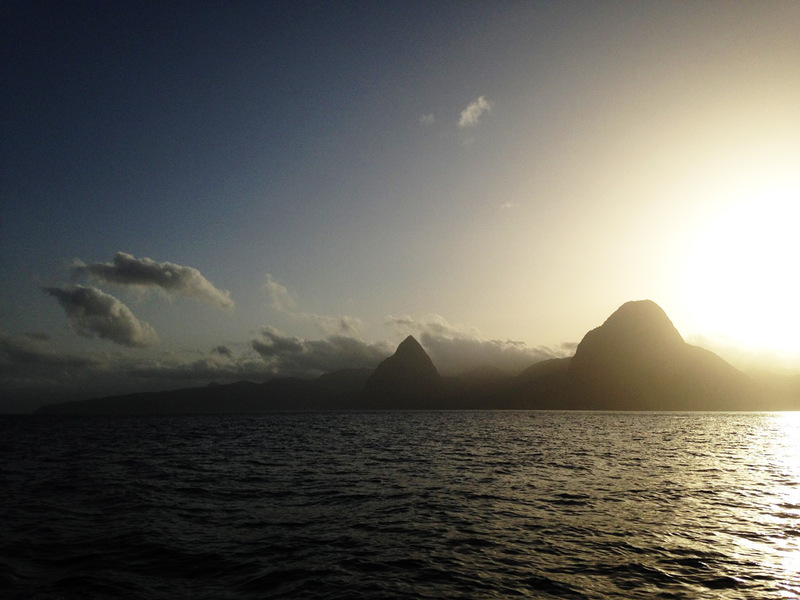 We got up early the next morning to leave and watched the sun come up over The Pitons as we motored away. The current is so strong in that area so be aware! Varuna powered through like a champ (a very slow, but steady champ). 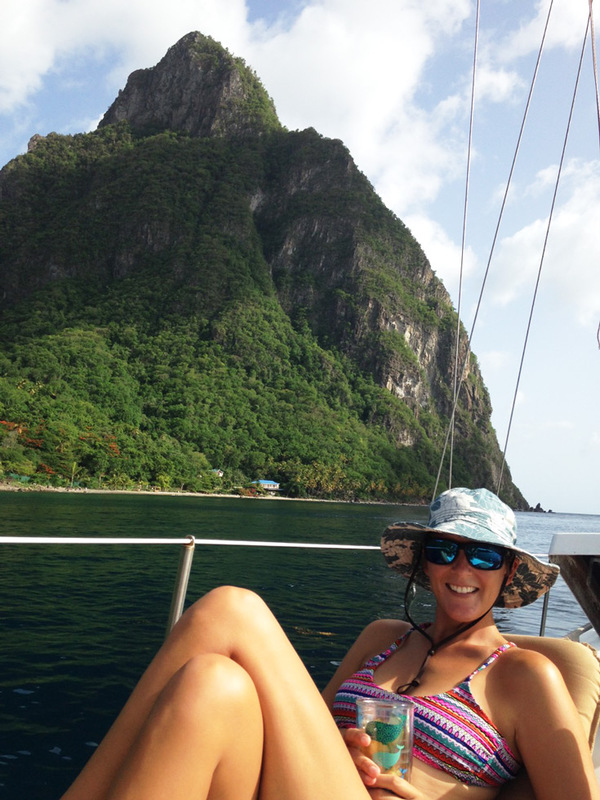 Goodbye Pitons! This is THE PLACE TO BE! I have been yearning to take a vacation since a year now, maybe it's time i pack up and wave bye to my office to embark on my journey to peace and serenity for a while.